Avinashi Poudel, 30, is a mother of two, including a 10-week baby boy. She only breastfeeds her baby, and has supportive in-laws and a mother friendly environment at her workplace. But seven years ago when she was a first time mother, she was not aware of the benefits of exclusive breastfeeding and her first baby did not get enough of her milk. 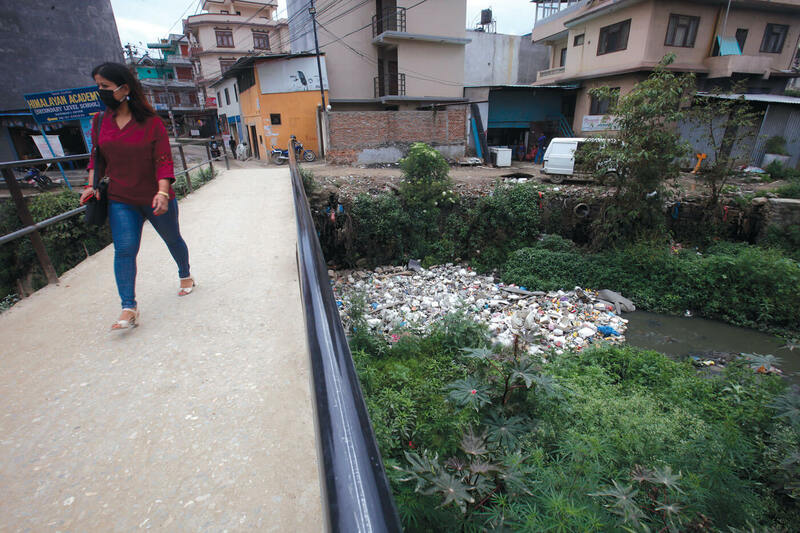 Rama Thapa, 23, moved to Kathmandu from Tanahu after she got married. She now has a six-month baby boy, and feeds him food supplements because she says her own milk is not enough. Her family and friends told her the baby needs the formula to grow up strong and healthy. 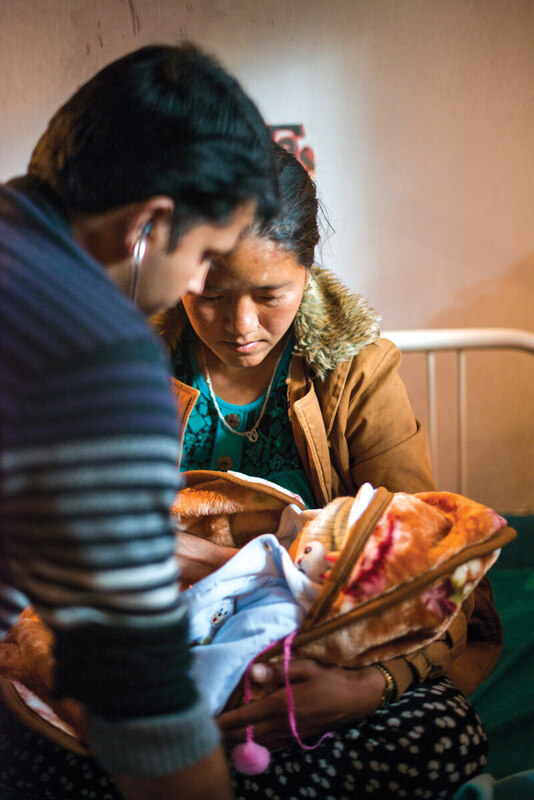 Nearly seven out of every ten Nepali mothers still exclusively breastfeed their babies, but some families are turning to supplements because of inroads by baby food manufacturers. Ironically, mothers in western countries where those baby food alternatives were first introduced, have returned to exclusive breastfeeding. Nepal is among the countries that are already above the World Health Organisation (WHO) target to increase the rate of exclusive breastfeeding in babies’ first six months to at least 50%, by 2025. However, because of aggressive marketing by baby formula brands, Nepal has set its own national target to increase exclusive breastfeeding to 80%. “Nepal has set a good standard in breastfeeding but we need to sustain it and make further progress, this requires policy implementation and monitoring,” says Pradiumna Dahal, nutrition expert at UNICEF Nepal, who is worried that not all health workers are aware of the benefits of breastfeeding. The use of breast milk substitutes is so widespread that health professionals in the Far-West are prescribing bottled milk in hospitals. Baby food is a burgeoning industry, and salesmen often target hospitals, doctors and nurses with inducements to prescribe babies substitutes for breast milk. After a huge international outcry against Nestle and other baby food supplement manufacturers, the WHO adopted the International Code of Marketing of Breast-milk Substitutes to promote breastfeeding. Nepal passed the Substitute of Breast Milk Act in 1992 to control the sale and distribution of breast milk substitutes. It penalises health professionals pushing and manufacturers promoting baby food formulas. But while the $70 billion global baby food industry has seen sales plummet in Western countries, as more mothers embrace breastfeeding, modern lifestyles and higher purchasing power has pushed families in developing countries to use infant formulas. 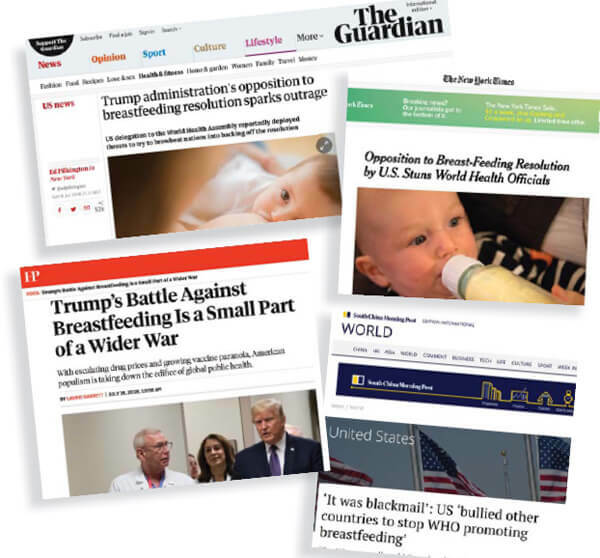 Recently, the Trump administration exerted pressure to dilute the clause in a resolution to promote and support breastfeeding at the World Health Assembly in Geneva in order to promote the interests of infant formula manufacturers. The US delegation even threatened Ecuador that it would terminate military aid if it voted for the resolution. Washington could also cut funding for WHO, the UN Population Fund and other agencies involved in promoting breastfeeding, reproductive health, contraceptives, abortion and even vaccination programs in developing countries, including Nepal. Allowing infant formula manufacturers unrestricted access to the domestic market threatens to undo decades of effort in Nepal to reduce the infant mortality rate and promote maternal health. “We have been working to promote breast milk and convinced a large proportion of mothers in Nepal to exclusively breastfeed. However, we have not been able to regulate the activities of the manufacturers of breast milk substitutes,” says Bikash Lamichhane at the Department of Health Services. Nutritionist Aruna Uprety says that despite the government’s claim that the rate of exclusive breastfeeding has increased, breast milk substitutes are used widely, even in government hospitals. Manufacturers are known to reward clinics and doctors promoting and prescribing their infant formulas. “Breastfeeding is engrained in our culture, we don’t need foreign experts to teach us its significance. We just need to create awareness and provide an enabling environment for women to be able to breastfeed,” Uprety told Nepali Times. Indeed, health officials say any future cuts in American funding for maternal and child health should not make a big dent on efforts to promote exclusive breastfeeding in Nepal. In 2016, the government set up a system to monitor the use of breast milk substitutes in each district. But with new federal and provincial structures in place, and confusion about the role of district health offices, experts are worried that the monitoring system will not be effective. A survey in 2011 by the Institute of Medicine showed that despite the Baby Friendly Hospital Initiative, there had been no action to control and regulate breast milk substitutes and producers and the distributors were found to be violating the Breast Milk Substitute Act. The study also noted that the promotion of breastfeeding was not prioritised and awareness was limited to token functions during World Breastfeeding Week. Studies have shown that counselling, awareness and legislating paid maternity leave increased the rate of exclusive breastfeeding, and had an immediate impact on maternal and infant health as well as the overall economy. The Department of Health Services is planning to inaugurate a breastfeeding corner at its own office in Teku to mark World Breastfeeding Week (1-7 August). UNICEF is supporting the government to set up 30 baby friendly hospitals, and train counsellors and other personnel. The Ministry of Health is also preparing to extend the duration of paid maternity leave from two months to six, to improve maternal and child health. Nepal has scored dramatic success in reducing maternal and infant mortality rates over the few decades, and USAID has been one of the biggest bilateral backers for family planning, reproductive health, maternal and child health projects. However, funding for these programs has often been affected by successive Republican administrations because of a strong conservative lobby for the Global Gag Rule, which seeks to end American aid for contraceptive promotion and abortion. The last time it was in effect, during the Bush Administration, mobile clinics providing reproductive services to rural Nepal were discontinued. The Family Planning Association of Nepal (FPAN) lost $400,000 in USAID-funded contraceptives, which represented two-thirds of its total stock, and a further loss of $100,000 per year that supported reproductive health clinics. President Donald Trump has renamed the Gag Rule as ‘Protecting Life in Global Health Assistance’ after restoring it in March 2017. Despite its new name, it is actually stricter, even targeting breastfeeding and vaccines. Just a month before the 2015 earthquake, the Nepal Government made a commitment to increase the family planning budget allocation by 7% annually. It partnered with international and private organisations to meet the target, but most of these partners are likely to lose a chunk of their funding. “Our government already lacks resource to meet the commitment. With the US pulling out, the gap is only going to widen,” says an official working in family planning. Although family planning is a small component of the aid budget for maternal health, the cuts are biting. The EU and Nordic countries have stepped in, but their contribution does not meet the shortfall. At the recent World Health Assembly in Geneva, the United States wanted to dilute a routine agreement on breastfeeding, amidst a global outcry. The United States delegation wanted to water down the resolution by removing a call on governments to ‘protect, promote and support breast-feeding’ and another clause calling for restrictions on the promotion of baby foods. “What happened was tantamount to blackmail, with the US holding the world hostage and trying to overturn nearly 40 years of consensus on the best way to protect infant and young child health,” Patti Rundall of the British advocacy group Baby Milk Action was quoted by the New York Times as saying. The uproar set off alarm bells in Nepal, where donor support has been critical in trying to meet the target of getting 80% of mothers to breastfeed by 2022. 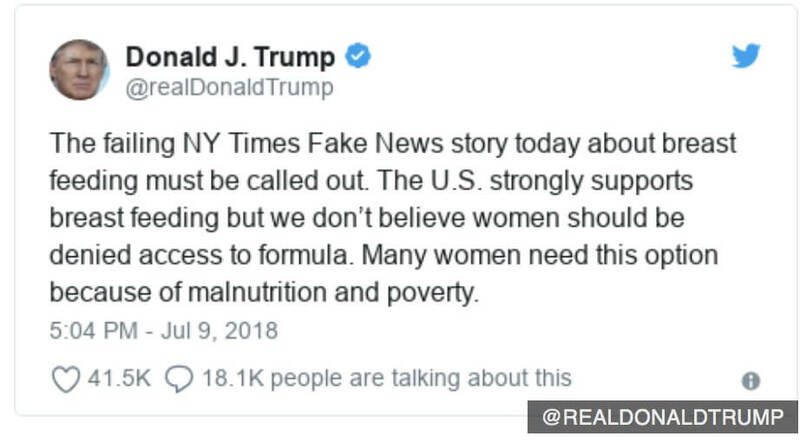 The US Embassy clarified that improving nutrition among mothers, infants, and young children was still an important public health priority for the United States, and it remained committed to working with WHO and other stakeholders to improve health and nutrition through “cost-effective and evidence-based” measures. Some experts contend that cuts in funding would not affect the breastfeeding campaign, and Nepal did not need to be dependent on donors anymore. 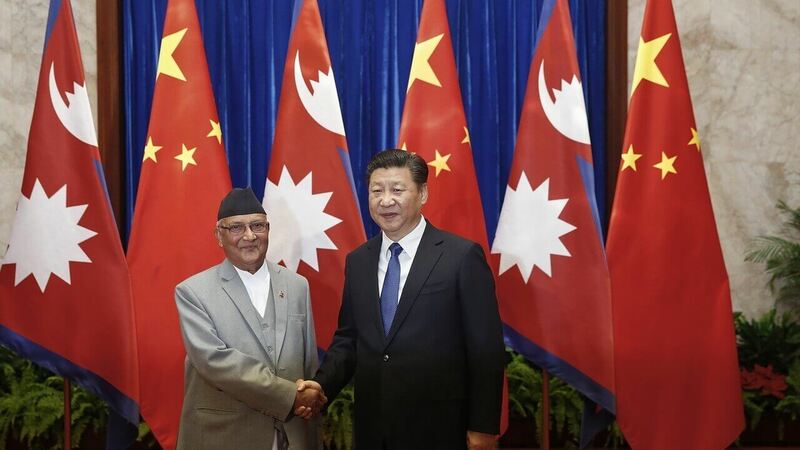 “Even if the US cuts funding, Nepal is capable of going ahead on its own. Awareness here about breast milk far exceeds any opposition from outside, it’s just that the government has to own it,” says former WHO public health expert Rita Thapa. The conclusion is that Nepal is perfectly capable of maintaining its momentum not just on breastfeeding, but also on protecting maternal and infant health with or without outside help.